Everybody loves Thanksgiving. As college students, we love it even more. However, the weeks leading up to Thanksgiving break can be a struggle: we have books to read, essays to write, and exams to take before we’re finally able to head home and eat to our heart’s content. That’s where these mini muffins come in. They’re perfect for satisfying your Thanksgiving fix. Whether you need to throw together something quick for your annual Friendsgiving, or you just want an excuse to eat pie for breakfast, these little treats deliver. Plus, if you remember from my last recipe article, white whole wheat flour adds a health boost without messing with taste. Totally makes up for the butter and sugar. And, let’s be real here, who doesn’t love mini things? You can eat ten of these and it’s practically the same as eating one regular muffin. Okay, maybe not ten, but you get the point. Preheat oven to 350°. 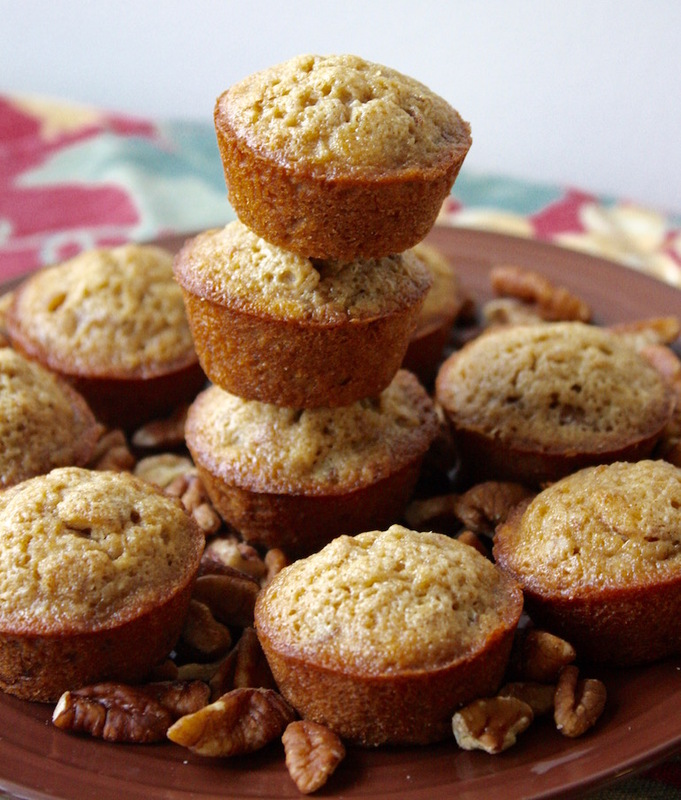 Grease a 24-cup mini muffin pan. In a large bowl, combine all ingredients and mix until well combined. Divide batter evenly among muffin cavities. Bake for 18-20 minutes, or until edges are golden and centers are set.